Is your husband’s snoring keeping you up all night? You may spend minutes or even hours nudging him in hopes of getting a break of silence long enough to fall asleep. Unfortunately, the silence is short-lived and the snoring resumes. Eventually, you give up and retreat to the guest bedroom to fall asleep peacefully. While this scenario may seem comical, as the spouse of a snorer you probably have a similar story and know that it’s no laughing matter. In fact, the issue of snoring happens to rank among the highest bedroom annoyances for couples. If you have tried everything short of stuffing a sock in his pie hole or taping his mouth closed, you may want to listen up because I have the solution for your bedroom woes. Before moving onto more aggressive snoring solutions, you should first consider some common causes of snoring and work on coming up with a solution. Your husband’s snoring may be caused by a number of factors, many of which can be avoided by making better lifestyle choices. For instance, alcohol, sedative use, or sleeping pills can cause the airway muscles to relax. A relaxed airway is less toned and allows the tissues within the airway to collide with each other, causing the sound of snoring. If your husband uses or overuses any of these, try working with him to come up with a plan to reduce or eliminate his use. Another possibility may simply be his sleeping position. Some snorers are “positional snorers” meaning that they only snore in certain positions. Positional snorers typically experience more snoring while sleeping on their back and legs while sleeping on their side. Simply asking your husband to sleep on his side is not always effective as he will likely roll over onto his back shortly after falling asleep. There are a few methods that can be used to keep him positioned on his side. For instance, fastening a tennis ball to the back of his shirt makes rolling over uncomfortable. Here are a few other methods that you can use. Snoring is often caused by carrying extra weight. Fat builds up around the neck area and can actually push on the airway, causing a breathing obstruction and snoring. Convincing him to adopt a healthier lifestyle which includes a balanced diet and exercise will not only help with snoring but also has a number of other health benefits. You can speak with him about losing weight but realistically, this will have to be a decision that he makes and is committed to. Perhaps you have considered all of the above and either they didn’t work or your husband was unwilling to entertain your suggestions. Is it time to throw in the towel and start sleeping in the guest room? Not so fast! There’s actually a snoring solution that I’ve tried and it really works well. It’s called a snoring mouthpiece and it’s a secret weapon that’s used nightly by millions of snorers and it will likely put an end to your husbands snoring problem. This is what a typical “boil and bite” mouthpiece looks like. So convincing your husband to lay off the beer, sleep on his side, or lose weight isn’t working out so well? The snoring mouthpiece is a simple snoring solution that should be fairly easy for him to adapt to. It’s a small mouthguard-like device that rests between the teeth and prevents snoring. These devices have been used by professionals for years and are now available to (nearly) everyone. Most companies who sell such products may require you to answer a short questionnaire prior to placing your order. How and Why Does a Mouthpiece Work? 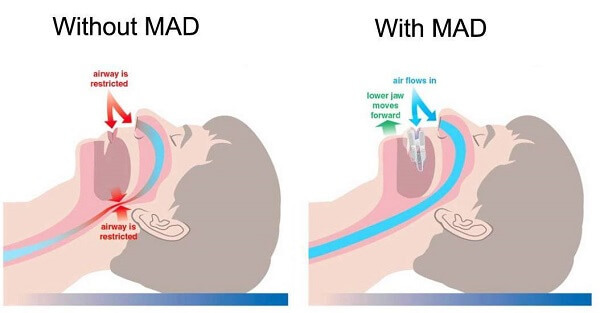 Snoring mouthpieces are actually considered Mandibular Advancement Devices (MAD) and were invented well over 30 years ago to help those with Sleep Apnea. While the snoring mouthpiece works using the same principle, it should only be used to lessen the sound of snoring and not necessarily to treat OSA. If you suspect that your husband’s snoring is being caused by OSA, he should visit his physician for an evaluation. These mouthpieces have an upper and lower tray which fit together to form a single unit. While there are several styles to choose from, the “boil and bite” style is perhaps the most popular and effective. With this style of a mouthpiece, you simply heat it for a few seconds in a container of hot water and then insert it into your mouth, bite down, push your jaw forward, and hold for several seconds until it cools slightly. Once the mouthpiece has been formed, it’s ready to put to use. Before going to bed, he simply pops the mouthpiece in and voila, you can enjoy a peaceful night of rest! The mouthpiece actually holds the jaw slightly forward which opens and tightens the airway. A tight and open airway will not flap around and cause the sound of snoring. There are a number of scientific studies that show imagery of the airway before and after the use of a mouthpiece and the difference between the two is astonishing. Moving and holding the jaw just a fraction of an inch forward tightens and opens the airway which allows air to pass through without obstruction. Visit your dentist and have him make a custom device for you. Custom fitted MAD’s usually cost around $3,000 – $5000 and are sometimes covered by insurance. Insurance usually covers MAD’s only for the treatment of Obstructive Sleep Apnea, not necessarily snoring only. If your mouthpiece is covered, you simply pay your insurance deductible which will, of course, vary according to your insurance plan. Your dentist will create an impression of your upper and lower teeth and send the impression off to a lab to create a custom mouthpiece. It will be returned to your dentist office a few weeks later and they will ensure that it fits well. Buy one online. Unfortunately, at this time snoring mouthpieces are only available online and can not be purchased at drug stores or department stores such as Walmart, Walgreens, CVS or Target. 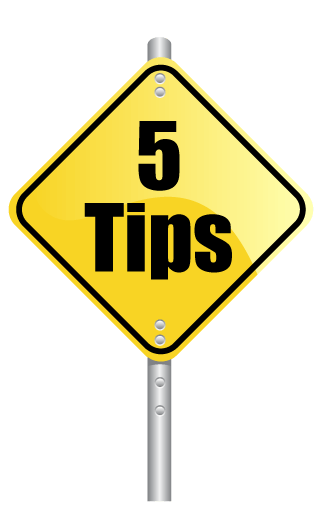 You must purchase through an online retailer who will ship a mouthpiece to your house. You will receive an at-home kit which can be used to create a mouthpiece in just a few minutes at home. There are actually several different companies that make these mouthpieces. Some are similar while others are quite different. If you are interested in learning more, take a look at this comparison table which will help you to make a decision. Most snoring internet-ordered mouthpieces range in price from $50 up to over $100. What Else Should I Know About Snoring Mouthpieces? Choose one that comes with a money back guarantee. There are plenty of companies out there who offer a money back guarantee meaning that you can return it, even after trying it out. 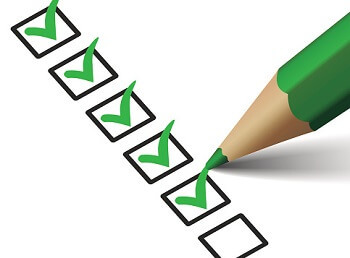 In fact, most reputable companies have at least a 30-day satisfaction guarantee. Don’t waste your money on a product that doesn’t offer this. Look closely at where the mouthpiece is made and what it’s made of. Avoid products that are “Made in China” or may contain “BPA”. Trust me, you don’t want a mouthpiece with either as it may be toxic or harmful. Shop around. These mouthpieces often go on sale from time to time. You can often find offers with free shipping, 20% off or even buy 1 get 1. Consider how important having an air hole in your mouthpiece is. If you are a mouth breather, this is an important consideration. Those who are not known mouth breathers may still want to consider picking up a mouthpiece that allows for mouth breathing. Consider the useful life of the mouthpiece. Some last only 3 months, some 6 months while others will last a year or more. While it may be less expensive now, you will not want to replace it every few months. Next post: Is a Snoring Mouthpiece a Permanent Solution For Snoring? 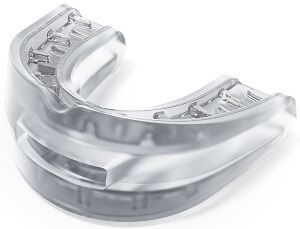 Previous post: Can I Wear a Snoring Mouthpiece Instead of My Retainer?